In the media event held yesterday, Apple announced some remarkable products along with new iPad. The company announced massive updates to its current tablet-centric apps, such as Garageband, iMovie, iLife and iWork. Besides these, Apple also announced a new iOS and iPhoto for iOS/iPad. In the iPhoto for iPad, the company has introduced new gestures, new effects, multi-touch editing as well as ability to transfer images to other devices. 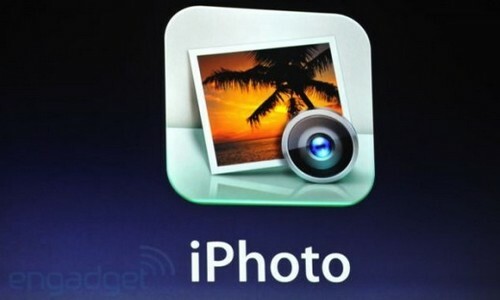 This means that iPhoto will offer you a kind of Photo Streaming experience as well. With iPhoto, users can double-tap a photo and the app will automatically compare it with all other similar photos. This means that you can choose a number of photos instantly and also edit and share them. You can also share your photos by email, Flickr and Twitter. The app also supports iCloud. In addition to this, the app also has support for 19-megapixel images. It offers auto-enhancing tools and also offers easy and simple ways to adjust particular areas of the image. What you need to do is to touch the area you want to adjust and then drag to brighten areas, rebalance color, utilize brush palettes and/or adjust saturation. The app also allows user to select the Journal option. Simply choose the images you want to add in Journal and name them. The app will automatically put them into pages for selected date range. The Journal work very much in the similar way as physical journal does. The iPhoto for iPad also offers several other exciting features that Mac users have become accustomed to. The app is available for download in the App Store for just $4.99.